Since I love technical, geeky, computer stuff just as much as I love photography, I decided to start sharing tutorials and tips to ease a photographer’s workflow. Since Lightroom is an essential part of my workflow as a photographer, I’ll start with a tutorial on how to sync a Lightroom Catalog across computers using Dropbox. Many photographers work on a desktop computer, but may need to access their Lightroom Catalog and photos on the go, from a laptop, or simply to finalize work at home. Trying to sync a Lightroom catalog across different computers proved to be a task I needed to find a work-around solution for. In most situations where you’d like to share data, you can easily use a server – and viola! Mission accomplished. Unfortunately, the Lightroom catalog won’t run on a server or NAS drive – making it necessary to find a different way to sync a Lightroom Catalog between computers. After spending lot’s of time researching & testing different options, the most convenient solution I found was using Dropbox! You can create the account for free, but be prepared to upgrade to a paid plan, since the 2 GB of space probably won’t be enough to store your Lightroom Catalog & associated photos. 2. Download & install the dropbox folder on your device. This will create a local copy on every device which will get synced as you work across all devices. 3. 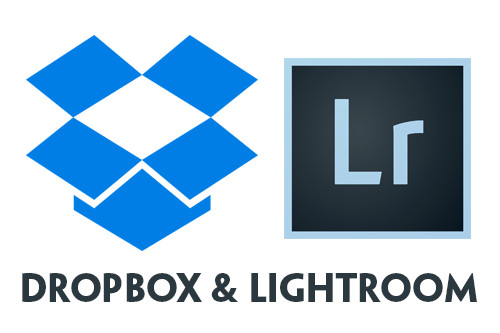 Within the newly created Dropbox folder, create a new folder titled “Lightroom”. Save your catalog there. 4. Open your Lightroom Catalog & go to the ‘File’ and choose ‘Preferences’. Then, under the ‘presets’ tab, check “Store presets with catalog’. 5. Store all photos in your catalog in the dropbox folder too – if not, you will only be able to access low resolution previews with an icon showing the photos are missing when not using the computer the photos are stored on. • You will need to have Lightroom physically installed on any computer you want to access the catalog from. • It is ideal if you set the exact same user path across all devices. That means having the same user-name & storing the dropbox folder in the same spot. • Always make sure you close / save Lightroom before opening it on the second device. This will save you lots of mess and heartache! • Dropbox will sync your latest version of your saved files, it does not create copies. Unsaved Lightroom catalog’s will be locked and un-accesable on another computer, meaning that you won’t have access to the latest changes. • If you have a slow internet connection & files take too long to load, this may not be your best option. Although inconvenient, you may be better off storing your catalog & associated information on an external hard drive. Let me know in the comments if you found this helpful or if you have any questions!